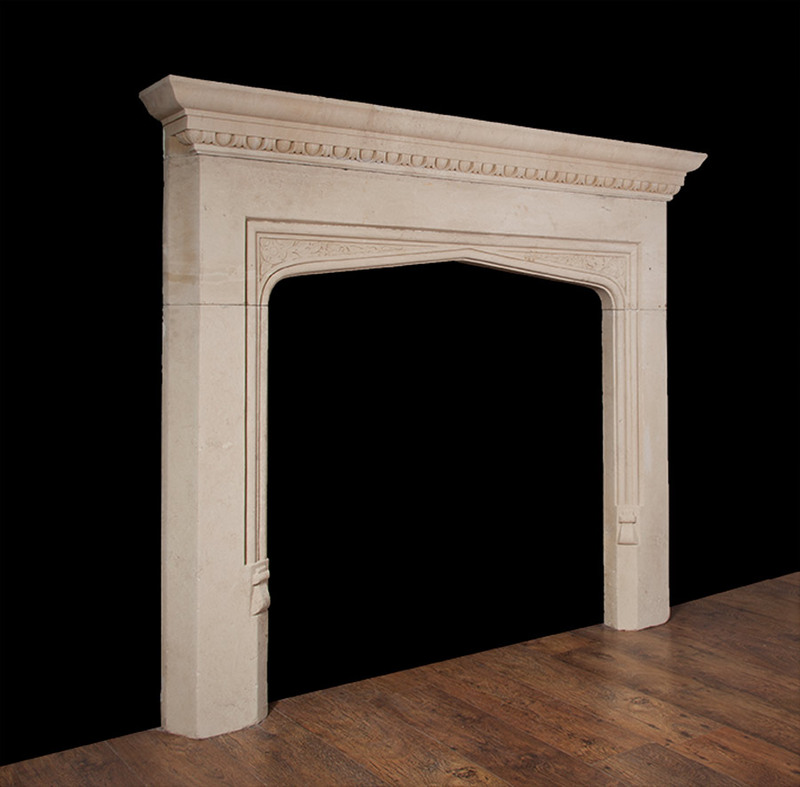 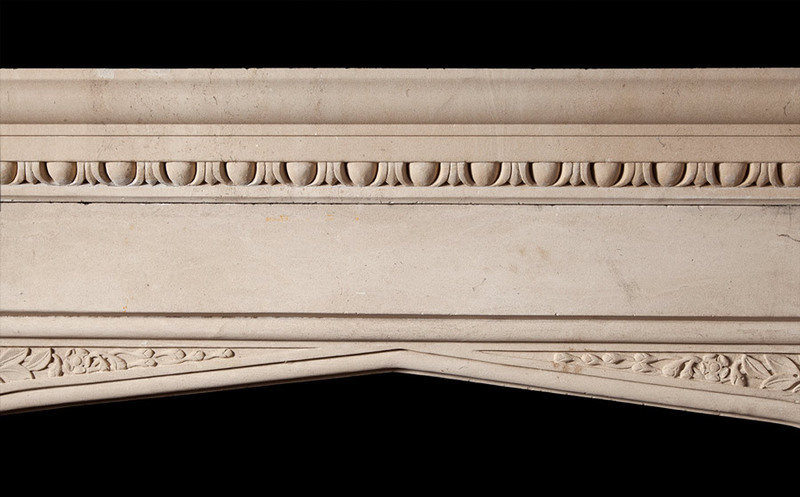 The substantial mantelpiece is carved with egg and dart mouldings. 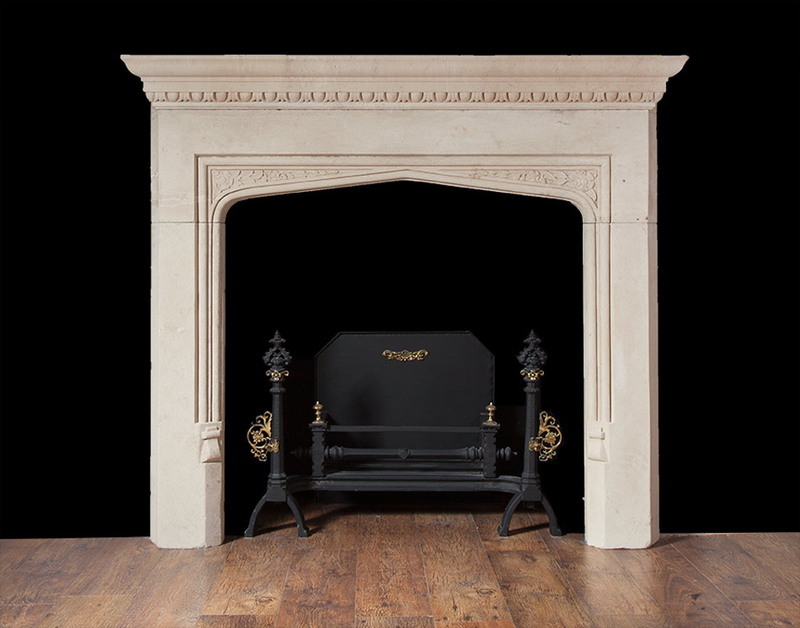 The arched opening has spandrels carved with Tudor roses and foliage. 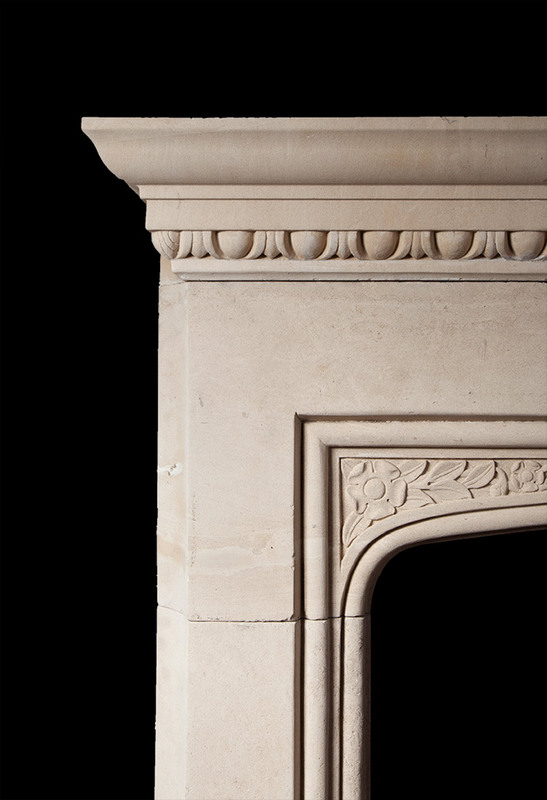 In architecture, the Tudor style grafted Renaissance decorative elements onto the perpendicular Gothic style, this is evident in this fireplace.